Concept: The product is a pre mixed martini. This product will come in a pack of 4 with an assortment of flavors. 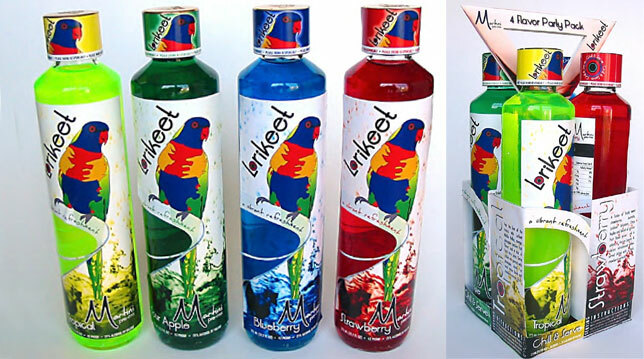 The product will be branded “Lorikeet”. A lorikeet is known for its bright vibrant colors, with this in mind I plan on having the beverage color reflect the name using bright colors for the different flavors.The first thing the viewer will be drawn to is the Lorikeet perched on the rim of a martini glass. The glass is actually a die cut and reveals the clear bottle with the vibrant color of the drink. The color is reinforced by the flavor. The back label includes directions of how to serve.